Make a sustainable, monthly gift and you'll create a reliable source of funds to help us bring attention to the lack of treatment options for the one million Americans living with hydrocephalus! 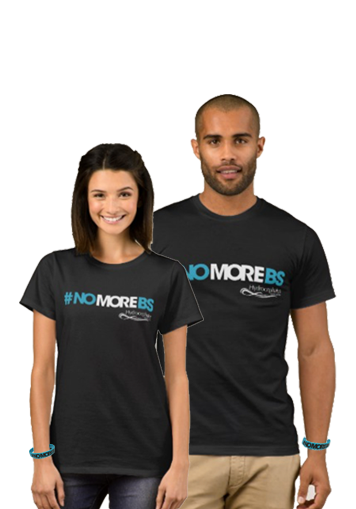 And you'll get a #NOMOREBS t-shirt for a monthly gift of $25 or more, so you can help spread the word! You can cancel or change your recurring monthly gift at any time. Just call 240-483-4181 or write info@hydroassoc.org.